The Fae wars have ended and the only Fae worthy of rank or honor has fallen to the Slaugh. Domnall is the only scout left from the old wars and he is no longer a spring chicken. With battle wounds that give him hell and the next generation of scouts being nothing more than pampered babies, Domnall is very much a cranky old man. 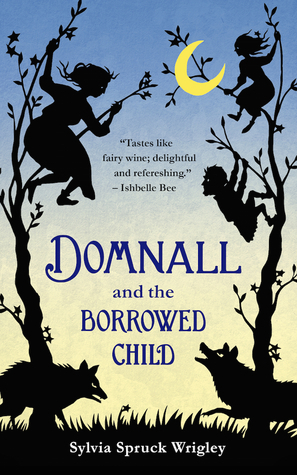 Now, with one of the Fae falling deathly ill, Domnall is the only Fae within his Sithen who knows how to track humans and is sent to trade the Fae child with a human child. What ensues is one hell of an adventure. I received my copy through NetGalley! Oh. My. Goodness. First, look at that cover, isn’t it stunning! I love it. Second, I love cranky old men. Third, I love Fae stories. This novella was such a fantastic read that I devoured it in one sitting. Domnall is essentially a veteran with a war injury that gives him pains throughout the entire novel. It makes him cranky but he pushes through and gets his job done. I love that he is paired with a spry young girl and the contrast between the two gives the novella a little friction. I also enjoyed the writing style. I felt as if I had sat down and someone was telling me a story, nothing about it made me feel as if I were reading it myself. The only thing I didn’t like was that IT WAS TOO DANG SHORT! I want more!!! No Quotes due to the fact that this was an ARC copy.